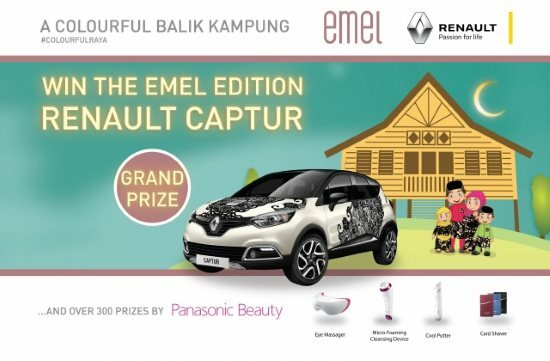 To enter, participants can go to www.colourfulraya.com or visit participating retail partners Avenue K, Melawati Mall and Parkson (Pavilion, KLCC and Bangi) and scan the relevant QR code to fill out the contest form online. Alternatively, participants can also access links to the contest through zalora.com.my, fashionvalet.com and emel.my. No purchase is necessary for participation. Winners will be determined through a weekly draw. There will be a total of six draws, with 66 prizes to be won each week. The final draw will take place on May 16 with the prize giving ceremony scheduled for May 25. Visit Colourfulraya Contest 2018 page for more details. Check this out: LAZADA 20% discount code! Faster use it before it's fully redeemed!